FreeBSD is an operating system used to power modern servers, desktops, and embedded platforms. A large community has continually developed it for more than thirty years. Its advanced networking, security, and storage features have made FreeBSD the platform of choice for many of the busiest websites and most pervasive embedded networking and storage devices. FreeBSD has similarities with Linux, with two major differences in scope and licensing. 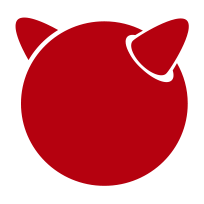 FreeBSD maintains a complete operating system, for example the project delivers kernel, device drivers, userland utilities, and documentation and FreeBSD source code is generally released under a permissive BSD license.